California Genealogical Society and Library blog: Just for Fun: Can You Guess? Just for Fun: Can You Guess? Arlene Miles sent this photo and question for our first blog contest! 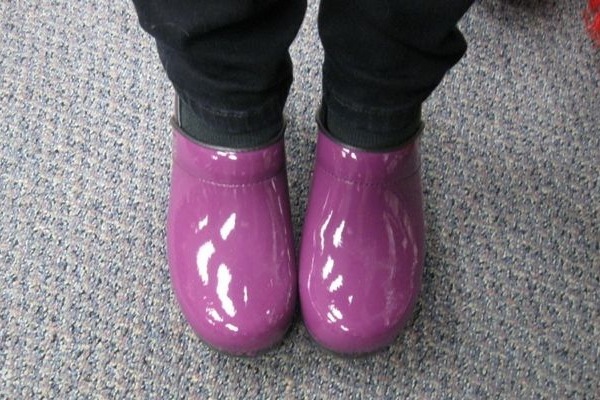 Can you name the person who purple clogged our Annual Meeting? Arlene will send a prize to the first person who gives the correct answer in the comments below. Photograph courtesy of Arlene Miles, 1/12/2013, Oakland, California.